We have a proven track record for producing recordings of a superior quality and our studio has been used to record artists such as "Eumeria" (International Progressive Metal Band and nominees for best prog metal release of 2011 with their album Rebel Mind), British based Alternative Rockers: People Are Things, British Singer Songwriter Kevin Bayliss, UK Instrumental Guitarist and Guitar Idol Lucky Singh, Full Circle Supergroup (formed out of auditionees from BBC's The Voice) and many, many more. Though we pride ourselves in the quality of our mixes we have alway kept our prices competitive, and we are therefore able to offer top quality studio recordings at budget / mid range prices. The studio is available for hire from £30.00 per hour (including Engineers). Mixing time is charged separately at a base rate of £80.00 per track for 8 hours* with tweaks and Mastering included. *any additional hours required will be charged at £20.00 per hour. We offer this service so that you can be safe in the knowlege that your songs will still sound exactly the way that you want them to after the mix has been approved. This also means that you can avoid a lengthy process of explaning what you want to another set of engineers and save yourselves around £50.00 and £100.00 extra per song! Please check out our audio player to hear examples of our work. NOTE: Singers must pre-book recording session and advise of tracks no less than 2 weeks prior to the booked date. 3 Song package for bands/recording artists looking for a top quality recording at an affordable price - NOTE all mixes are done to the HIGHEST standard. 10 Hours recording time (1 Day) / inclusive of engineering / editing (NOTE - a great deal of attention is spent to getting the best sound at source in order to obtain the highest professional standard of recording. From the tuning of the drums right through to amp tones - yes we have a host of great amps to choose from here at Smash including Mesa Boogie / Fender / Marshall / Ashdown ....we could go on). Professional producers / engineers with 12 years recording / mixing experience and over 45 years of combined playing experience at the highest level. Our producers will always make sure that they get the best out of your band and thus the recording. Up to 8 hours mixing / mastering time PER SONG! We believe in putting the time in at The Smash Room to get a fantastic result with your tracks....it means as much to us that your tracks sound great as it does to you. 6 Song package for bands/recording artists looking for a top quality recording at an affordable price - NOTE all mixes are done to the HIGHEST standard. 20 Hours recording time (2 Days) / inclusive of engineering / editing (NOTE - a great deal of attention is spent to getting the best sound at source in order to obtain the highest professional standard of recording. 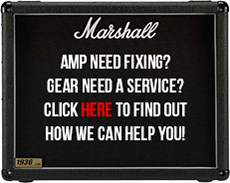 From the tuning of the drums right through to amp tones - yes we have a host of great amps to choose from here at Smash including Mesa Boogie / Fender / Marshall / Ashdown ....we could go on). If you would like to discuss coming in to record an album or any other package that you don't already see here, then please give us a call and we will be happy to sort something out for you. SMASH ROOM - Where quality counts in BPM! 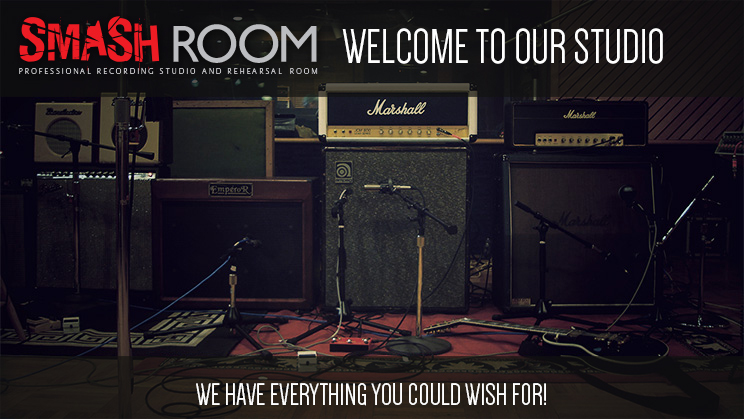 Have a listen to some sample tracks from Smash Room Clients to get an idea of the quality sound recordings that we can produce for you / your band.